Villa Wolax, located on the island of Kuusisto, offers a marine setup and functional location for meetings as well as various celebrations and events. Villa Wolax was built in 1899 in Kuusisto. The villa walls are decorated with Axel Hartman’s paintings lit by crystal chandeliers. The large grass covered grounds reach to the shoreline and make it possible to organise outdoor activities. The main buildings facilities and two seaside villas (of different sizes) offer premises for a multitude of events, meetings and team building activities, family celebrations, sauna evenings and many more. The saunas each have Jacuzzis with the larger seaside villa sauna seating 25 people. Visitors can swim in the sea all year round, during a winter a hole is drilled in the ice for those brave enough. A variety of activities are organised throughout the year, the range of additional services include Soling boat sailing, shooting and throwing, hikes to Ryövarin Luola – cave and many more. Villa Wolax is located 20 minutes from Turku with large piers for larger boats to dock at the villa. Find out more about Villa Wolax on the company’s website! 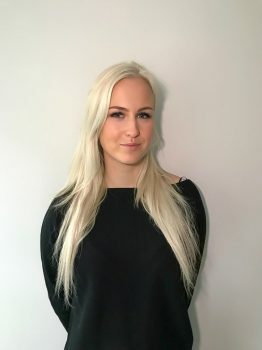 The summer is coming to an end with fall fast approaching, and it’s time to introduce our new Marketing and Events Coordinator trainee – Riina Jalonen. Riina is a Master’s student of International Marketing at Birkbeck University of London – with a Bachelor’s degree in International Business Management from Oxford Brookes University. Riina has previous marketing and event organizing experience from travel- and IT sector. Riina is excited for the season ahead and hopes to see many of you at our events!